found in a tomb at Gerzeh, Egypt. as iron replaced bronze for tools and weapons. in the fifth century BCE. was produced in Anatolia from 1800 BCE. in India as early as 500 BCE. The Iron Age followed the Bronze Age. people made wrought iron from cast iron. made of iron from the Cape York meteorite. than were possible with ancient methods. 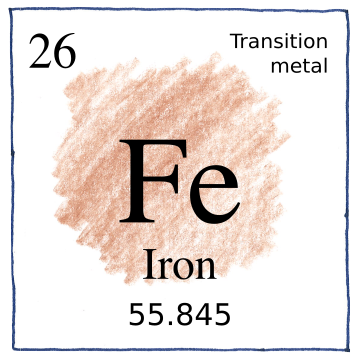 Iron can dissolve entirely into rust. like the patina on copper. of a long treatise on stuff that rusts. We are made from rust and to rust we return. The earth’s magnetic field has been the result of mysterious processes involving electric currents, convection, and cooling of high-pressure iron in the earth’s core.